Notice en anglais, français, allemand (29 pages). INCREDIBLE SHRINKING SPHERE PLAYERS GUIDE OBJECTIVE The planet Sangfalmadore is the Sphere Corps' battle training arena, also called the DEATH RUN. Colonel-in-Chief Matt Ridley, a frustrated desk bound officer of the Corps Elite, decided to test his skills behind the controls of a FIGHTER SPHERE and attempted to complete the DEATH RUN. Ridley couldn't handle it! His FIGHTER SPHERE has been disabled by ASSASSIN SPHERES and he's now stranded somewhere within the RUN. Your task aboard a FIGHTER SPHERE is to find a route through the traps and assassins of DEATH RUN and locate Ridley. This will enable an automatic Shuttle Sphere rescue. Sounds easy, but can YOU handle it? LOADING ISS 1. Set-up your Computer System as detailed in the instruction booklets that accompany your Computer, and connect to your TV or monitor. Ensure that any cartridges or peripherals (such as disk drives, cassette players, printers, etc.) are disconnected from your computer. Failure to do so may cause loading difficulties. (If your computer has a built in disk or cassette drive you will not be able to disconnect the built-in item, but ensure that any other peripherals are disconnected). 2. If you are using a COMMODORE 64 or COMMODORE 128 with the CASSETTE ISS ... a) Connect your data cassette to your Commodore 64 or 128, and switch your TV/monitor can Computer ON. (Commodore 128 owners should now select 64 mode by typing GO64 and pressing RETURN, then Y and pressing RETURN). b Insert your ISS cassette into the data cassette, ensuring that SIDE A faces upwards. Ensure the cassette is fully rewound. c) Hold down the SHIFT and RUN/STOP keys on the Computer together. Then press the PLAY key on the datacassette. 3. If you are using a COMMODORE 64 or COMMODORE 128 with the DISKETTE. a) Connect your disk drive to your Commodore 64 or 128, and switch your TV/monitor, Computer and Disk Drive ON. (Commodore 128 owners should now select 64 mode by typing GO64 and pressing RETURN, then Y and pressing RETURN). b) Insert the ISS diskette into the disk drive, side 1 up. c) Type LOAD "*" 8,1, and press RETURN. 4. If your are using an AMSTRAD CP464, 664 or 6128 with the CASSETTE ISS... a) Switch your TV/monitor and computer ON. b) If your computer has a built-in disk drive you should now connect a compatible cassette player to your computer, and then type: TAPE and press RETURN. This sets your computer ready to load from cassette. c) Insert your ISS cassette into the cassette player, ensuring that SIDE A faces upwards. Ensure the cassette is fully rewound. d) Press CTRL and the small ENTER key then press PLAY key on the cassette recorder. 5. 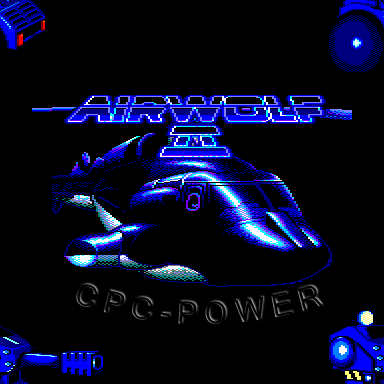 If you are using an AMSTRAD CPC 464, CPC 664, CPC 6128 with the DISKETTE ISS ... a) Switch your TV/monitor and Computer ON. b) If your computer has a built-in cassette player you should switch your computer OFF and connect a compatible disk drive to your computer. Now switch the disk drive and computer ON and type: DISC and press RETURN. This sets your computer ready to load from diskette. c) Insert the ISS diskette into the disk drive, side 1 up. d) Type RUN "DISC" then press the ENTER key. 6. If you are using a SINCLAIR ZX SPECTRUM, SPECTRUM +, SPECTRUM 128, SPECTRUM +2 or SPECTRUM +3 with the CASSETTE ISS.... a) Connect your cassette player to your Spectrum computer in the usual manner. (If your computer features a built-in cassette player this is already done). b) If you wish to use a joystick, insert the necessary interface now. If your computer has a built-in joystick port then connect a suitable joystick now. (See Control Notes for details of compatible joysticks). c) Switch your TV/monitor, cassette player and computer ON. (If you are using a 128K computer, select 48K mode). d) Insert the ISS cassette into the cassette player, ensuring that SIDE A faces upwards. Ensure the cassette is fully rewound. e) Type LOAD "" then press the ENTER key. 7. If you are using an ATAR ST computer with the DISKETTE ISS ... a) Connect your disk drive to your Computer (if your computer features a built-in disk drive you will not need to do this). b) Insert the ISS diskette "A" into disk drive A, label side up. c) Switch your TV/monitor, Computer and disk drive ON. d) When prompted by the Computer insert DISKETTE "B" into disk drive A, label side up. 8. If you are using a COMMODORE AMIGA computer with the DISKETTE ISS ... a) Insert the ISS diskette into disk drive A, label side up. b) Switch your TV/monitor and computer ON. JOYSTICK AND KEYBOARD CONTROL NOTES ... 1) Commodore 64 owners may use any compatible joystick, plugged into port 2. 2) Amstrad CPC owners may use any compatible joystick plugged into the port. Equivalent control is also available from the keyboard keys. 3) Spectrum owners may use Kempston, Interface 2, cursor compatible joysticks (Sinclair joystick). Equivalent control is also available from the keyboard keys. 4) Atari ST users may use any compatible joystick plugged into port 1. 5) Commodore Amiga users may use any compatible joystick plugged into port 1. LOADING DIFFICULTIES We are always seeking to improve the quality of our product range, and have developed high standards of quality control to bring you this product. Therefore, in the event that you experience any difficulties whilst loading, it is unlikely to be a fault with the product itself. We suggest that you switch OFF your computer and repeat the loading instructions carefully, checking that you are using the correct set of instructions for your computer and software. If you still have problems, consult the User handbook that accompanied your computer or consult your software dealer for advice. In the case of continued difficulty, and have checked all of your hardware for possible faults, may we suggest that you contact your Customer Advice Department in writing for assistance. Activision Customer Advice (ISS) Blake House Manor Farm Estate Manor Farm Road Reading Berkshire Your letter should clearly state the following: - your name and address - a daytime telephone number (if available) - the name of the product you are having difficulty with - whether it is on cassette or diskette - the computer system you are using and any peripherals, joysticks, etc. you use with the software in question where and when you bought the product a detailed description of the difficulty you are having. CONTROLS COMMODORE 64 The game uses either joystick or keyboard for fighter sphere control, the joystick plugs into port 2 (rear port) the direction of the joystick movement can be selected as normal North or Isometric North according to preference. (See below). KEYBOARD PAUSE RUN/STOP (Move joystick or hit keys to restart) QUIT RUN/STOP when press "Q" F1/F7 Change Joystick Directional Control (Arrow on title screen shows Joystick NORTH) As an alternative to the Joystick the following keys may be used: FIRE RETURN (Also used for placing ammo dumps) NORTH ; SOUTH / WEST X EAST C The SPACE BAR is used to EXIT from the PLACE AMMO DUMPS screen. SPECTRUM/AMSTRAD CPC The game uses either joystick or keyboard for fighter sphere control, the joystick on the Spectrum can be either Sinclair 1 or Kempston. (See below). KEYBOARD On Title Screen press SPACE BAR to START. Joystick Selected with "J" = SINCLAIR (Spectrum Only) "K" = KEMPSTON (Spectrum Only) PAUSE P QUIT Q (When the game is already paused) FIRE ENTER/RETURN NORTH K SOUTH M WEST Z EAST X SPACE BAR used to go through the plates for ammo dump placement and the "S" Key is used to start the game. ATARI ST AND AMIGA JOYSTICK AND TV OR COLOUR MONITOR REQUIRED. The game uses JOYSTICK ONLY for fighter sphere control, the joystick plugs into port 2. The direction of the joystick movement can be selected as normal North or Isometric North according to preference. This option is only given on first loading of the game. KEYBOARD PAUSE F10 (Toggle pause on Atari ST) UNPAUSE F9 (Amiga only) QUIT Escape Key SPACE BAR Exit Ammo Dump Placement Screen HOW TO PLAY - NO FRILLS! For those who don't like reading long instructions before playing! PLACING AMMUNITION DUMPS At the beginning of the game, or on reaching a new level, the player has the option of placing ammo dumps almost anywhere within the current level. There are four PLATE maps to each level, you can install up to 4 ammunition dumps on EMPTY tiles throughout the level. 1. Move Joystick UP/DOWN to CHOOSE PLATE and press FIRE or use the keyboard as mentioned. 2. A cursor appears over the mini map for that PLATE. Move cursor to required position over an unoccupied tile and press FIRE to place AMMO DUMPS. The letter "A" will appear on the map if you have chosen an allowable tile. (Amiga and ST has the option of deleting a dump by pressing fire over a placed dump). 3. Place cursor on any SIDE EDGE of the PLATE MAP and press FIRE to return to the CHOOSE PLATE option. 4. PRESS SPACE to EXIT into DEATH RUN at any time. You can now attempt to play ISS. GOOD LUCK, without reading the rest of the instructions you'll need it! HOW TO PLAY BETTER THE TRAINING ARENA The PLATES within the training arena are in tiers, four deep. The plates consist of numerous TECTRONIC TILES, these effect you FIGHTER SPHERE control. Fighter sphere also effect tiles, most tiles have their own timer, once a fighter sphere passes over one, a countdown begins before the tile changes into deadly FIGHTER SPHERE VAPOURISER! So don't hang around and remember the deeper the level the faster the TIMERS! There are a few exceptions, one is Wall-Supporting Tiles these don't change, so on some PLATES 'hugging' the walls could be your only chance of survival. FIGHTER SPHERE The INCREDIBLE SHRINKING SPHERE or fighter sphere, armed with a 70mm Cannon is able, with the help of tiles, to alter its Molecular Structure. Fighter Sphere MASS, VOLUME and VELOCITY is affected by contact with the various TECTONIC TILES. Sphere velocity is also affected by the sphere's Mass, the heavier you are the slower your acceleration. The ability to negotiate the hazards of DEATH RUN depend upon skilled control of this weapon. Watch out for the sphere's momentum, learn how to 'contain' the inertia! TECTONIC TILE EFFECTS On the title screen move Joystick (not fire), or touch direction key to start a demo summary of the tectonic tiles. 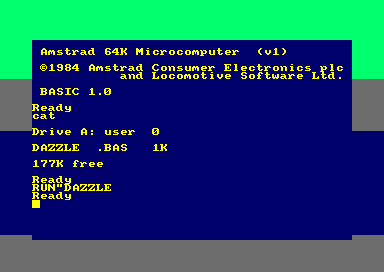 (Due to memory restrictions this option is not available on the Spectrum or Amstrad). TITLE NAME TECTONIC EFFECT ISMO ASSASSIN GENERATORS Avoid them, they manufacture Assassin Spheres - Deadly! SPEED TRAPS Alter Sphere speed, not always wanted! DECREASE MASS Decrease Sphere's Mass or weight. A LIGHTER sphere is able to traverse damaged tiles and prevent ramp collapse - increases sphere's manoeuvrability! INCREASE MASS Increase Sphere's Mass or weight. If HEAVY avoid damaged tiles - high mass and speed needed for opening MOVING WALLS - sphere less responsibe! INCREASE VOLUME Increase sphere's size or volume. Sphere navigation more difficult through narrow channels. DECREASE VOLUME Decrease sphere's size or volume. Easier to navigate narrow channels, sometimes essential! MASS, VOLUME OR INERTIA This is a CHANCE, anything may change! Risky but can be worth it ito short-cut the RUN. CHAOTIC BOUNCE Sphere repelled at speed! SHIELDS Provides short-term photon protection, from the Assassin Spheres, essential if you want to survive! Sphere glows and hums when shield is a active. The shield's humming sound changes just before it dissipates! Remember where shield icons are placed and keep topping up! REVOLVER If caught your sphere will start to spin at increasing speed. Once top speed is reach your score will reduce! PRESS FIRE to be released. AMMUNITION SUPPLY DUMPS Once the route through a plate is learnt use less or NO DUMPS for increased bonus! Dumps have infinite supplies of ammo! A higher bonus is awarded for placement on deeper plates - Plate four deepest. REWARD Easy score increase toward extra lives! Don't be too greedy, remember the TIMER! PENALTY An easy way to loose score! BLACK HOLES These provide access to deeper plates within a level. They have no TIMERS. WHITE HOLES These provide access UP through the plates in a level. No TIMERS. EXIT This is the exit to the next LEVEL. If a life is lost you will return to the start of the current level. BINARY REBOUND BOOSTER Rebound at full speed in opposite entry direction. On deeper levels this tile is needed to gain enough speed to open MOVING WALLS! Generally this tile is trouble! PRISON If you pass too close you will be caught and the sphere will be immobilised for a time. This could mean death! DAMAGED TILE If you are too heavy damaged tiles will collapse changing into Fighter Sphere Vapourisers. Deadly! RAMP On deeper levels the only route to a level EXIT is via the RAMPS. These allow the sphere to JUMP the walls. The ramps need to be approached at speed and the sphere must not be too HEAVY if the RAMP isn't to collapse! SHORT-CUT These are the MOVING WALLS. These sections of the walls can be pushed open if at high speed and mass. Using these walls could be your only way to complete a level! CONTROL PANEL The control panel on the bottom of the screen shows the sphere's SPEED, AMMUNITION and MASS or weight in addition to your SCORE. Speed is shown on the left hand side of the screen, weight on the right. The bigger the sphere is in the control panel the heavier you are! The sphere's VOLUME is shown by your FIGHTER SPHERE changing size on the screen. Score Bonus points are awarded for ammo dumps placed on deeper plates, the less ammo dumps you use also increases the bonus. Points are awarded for the destruction of assassin or the DEATH SNAKE on the deeper levels. Completion of a level gives big bonuses, on GAME COMPLETION there is the option of playing on with a new scenario and your present score is retained, however, you may find things a little more fraught on this new mission! New sphere are given every 50,000 points upto a maximum of 7 spheres can be held in reserve. Credits Incredible Shrinking Sphere was designed and created by Fours Fiels. Credit is given to the key people involved in the project on the credits screen, many more 'behind the scenes' people also helped and I thank them all. Special thanks must go to ALL at Software Studios for their help and enthusiasm with this project and to Activision generally whose support made the development and distribution of this game possible! I hope you enjoy playing Incredible Shrinking Sphere as much as we enjoyed creating it! Stefan Ufnowski --------------------------- INCREDIBLE SHRINKING SPHERE --------------------------- C O M P E T I T I O N Win a Tomy Omnibot 2000 voice-controlled robot! Use your free "write on wipe off" planisphere along with your skill and judgement and you could be the lucky winner of a Tomy Omnibot 2000 voice controlled robot or one of twenty five runners up to receive a limited edition Incredible Shrinking Sphere poster! The grids overleaf represent the four plates of level seven.Simply fill in the quickest route through each of these plates, remembering to include walls and holes etc. Then complete the tie breaker in no more than twenty words, fill in your name and address and return this official entry form to:- Customer Relations, Activision (UK) Ltd., Blake House, Manor Farm Road, Reading RG2 0JN. (To arrive no later than Saturday 25th February 1989). Complete the following in no more than 20 words:- I would like to see the following features included in Incredible Shrinking Sphere ............................................................... ............................................................... ............................................................... ............................................................... ............................................................... ............................................................... WIN A TOMY VOICE CONTROLLED ROBOT! Name .......................................................... Address ....................................................... ............................................................... RULES 1. All winners in the competition will be deemed to have read and agreed to abide by the rules of which the entry instructions and prize details form part. 2. The first 26 correct entries opened after the closing date of Saturday 25th February 1989 will be deemed winners. 3. The organisers of the competition reserve the right to alter dates, times and structure to ensure the smooth running and completion of the competition. 4. No cash alternatives will be offered. 5. Only one entry per person allowed. 6. The competition is open to residents of the EEC only. 7. No correspondence will be entered into. 8. Employees and their relatives of participating companies in the promotion are not eligible to enter.